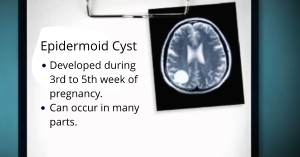 Epidermoid cyst is congenital, rarely acquired, and forms at fetal development during the 3rd to 5th week of pregnancy when normal developmental cells are trapped within the growing brain. This slow-growing cyst can occur in many parts of the brain, but mostly in the cranial base. The cranial base is a highly complex and anatomically challenging region, comprising the base of the cranium, the ventral surface of the brain and brainstem, and the nerves, arteries and veins entering and exiting the skull. Epidermoid cysts forms when surface skin cells move deeper into the skin and multiply. The cyst may remain for years or continue to grow larger. They are most commonly found in adults, however are also found in children. The epidermoid cysts are developed when protein is trapped below the skin because of either damage to skin or hair follicle. In general, the cysts will become red and tender if infected. Initial treatment will involve Robert Louis, MD conducting thorough medical history and physical exam, including the patient’s symptoms and health history. To help diagnose and confirm presence of epidermoid cyst, special imaging will be requested:Magnetic resonance imaging (MRI): An MRI uses magnetic fields to produce detailed cross-sectional images of the brain and is more accurate in determining if the cyst has ruptured.Computed tomography (CT) scan: Imaging procedure that uses X-ray camera to scan series of detailed cross-sectional images of the brain. The type of surgery used to remove epidermoid cyst depends on its size. Epidermoid cyst of the skull base may be approached directly using the Endoscopic Endonasal Approach (EEA). 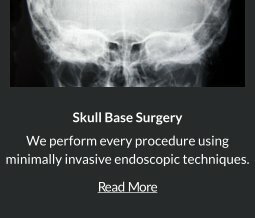 This state-of-the-art, minimally invasive approach allows surgeons to access the tumor through the natural corridor of the nose, without making an open incision. Surgeons then remove the cyst through the nose and nasal cavities. Determining the optimal treatment plan takes a number of factors into consideration, including the patient’s preferences, general health, size of the colloid cyst. 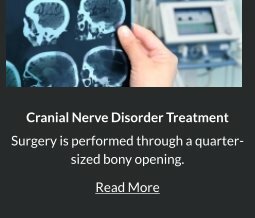 Your Orange County neurosurgeon Robert Louis, MD specializes in minimally invasive keyhole approaches that are highly individualized to suit every patient’s needs. 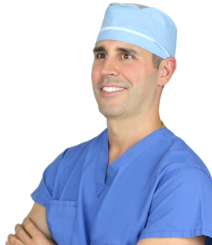 Robert Louis, MD specializes in minimally invasive removal of colloid cyst using cutting edge technology and instrumentation. Endoscopic Endonasal Approach (EEA)- A state-of-the-art, minimally invasive approach allows Robert Louis, MD to access the epidermoid cyst through the natural corridor of the nose, without making an open incision. Surgeons then remove the cyst through the nose and nasal cavities. Robert Louis, MD, a fellowship-trained Orange County Neurosurgeon, is the Director of the Skull Base and Pituitary Tumor Program at Hoag Memorial Hospital in Orange County, California. 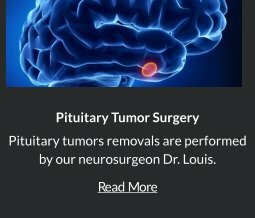 Dr. Louis has particular expertise in endoscopic and minimally invasive treatment of benign and malignant brain tumors, sellar and parasellar tumors and skull base tumors.Dr. 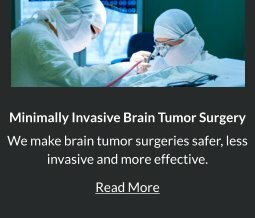 Robert Louis specializes in minimally invasive brain surgery for the treatment of sinunasal carcinoma. For appointments, please call (949) 383-4185 or Contact Us.